Hunters, Titans and Warlocks will each have a new sub-class in Destiny 2. Announced during the Destiny 2 livestream today, Bungie revealed the new sub-classes Arcstrider, Sentinel, and Dawnblade. 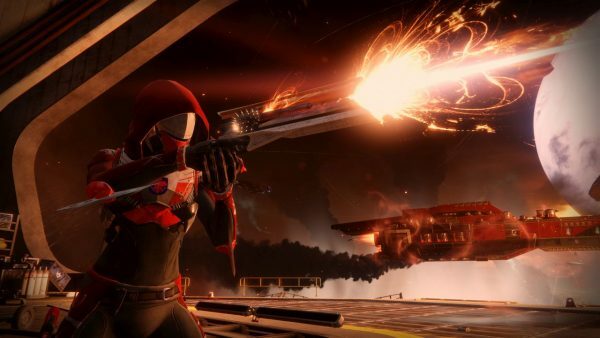 Arcstrider is the sub-class for the Hunter, who will can summon a staff; the Titan Sentinel can knock enemies back with a shield; and the Dawnblade sub-class for the Warlock provides the ability to summon a flaming sword which produces waves of energy. These new sub-classes are one of the reasons why players won’t be able to transfer character possessions and powers over into Destiny 2. Probably also because according to the lore in Destiny 2, Guardians have been stripped of their power. A world without Light, then? Maybe? You can have look at some screenshots of the gear for all three classes through the link. We should have just combined these two posts, but live and learn, right? Destiny 2 releases September 8 on PS4 and Xbox One and is “coming soon” to PC.